Some Cumberland County students received positive greetings Tuesday morning as they returned to class. One by one, the students at Nick Jeralds Middle School in Fayetteville received a high five, a handshake, a smile, and an encouraging word as they headed into school Tuesday. About a dozen members of the Alpha Phi Alpha Fraternity from Fayetteville State University greeted the students on Cumberland County's first day of school. The men were accompanied by retired State Supreme Court Judge Patricia Timmons-Goodson. Each offered a lasting word of advice. "If you want to be somebody, if you want to go somewhere, you better wake up and pay attention," said Lamair Bryan, the fraternity's Epsilon Zeta chapter president. "Even on those days when you feel like what is being taught isn't relevant or important to you, go ahead and learn it any way," said Timmons-Goodson, adding students should never want to be ill-prepared for potential opportunities. It's the type of involvement the district's superintendent believes is crucial to every child. "As I go out and talk to mentors, the women point out to me women are great at mentoring (and) men are good at writing checks," said Dr. Frank Till. "We need men to mentor, not just write checks." Maria Pierce-Ford, the school's principal, said the presence of Timmons-Goodson and those young men from Fayetteville State University is bound to have an impact on her students. "We hope they will give our kids a very positive outlook on their future because that's what it is - these kids are our future," she said. 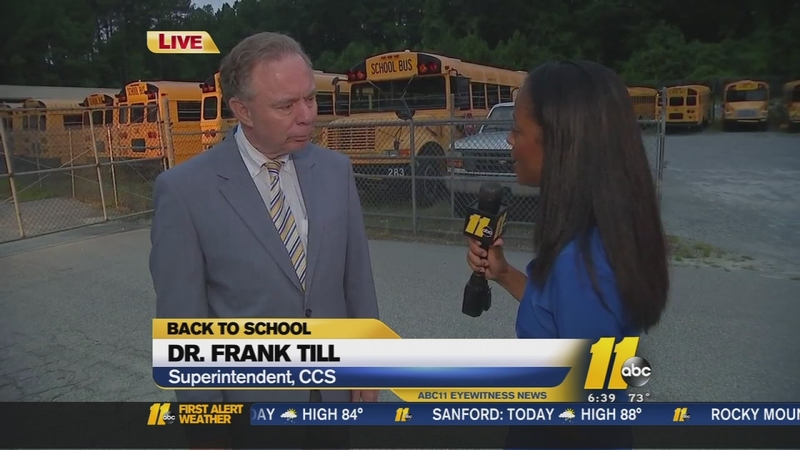 Cumberland County Schools welcomed 24,000 students Monday morning amid an uncertain fiscal future. Like every other district across the state, leaders are awaiting a budget, and making due. "We've used every dollar to the best way to be efficient," Till said Tuesday morning. Till said there are no plans to hire and then fire personnel once the budget is solidified. Instead, they've continued to cut certain programs - like driver's education - in order to brace for a shortfall. Personnel, he said, is essential. "We're actually going forward. We're hiring," Till said last week. "Our bus system is built on TAs (teachers assistants), so we're going to have to have TAs for that bus system. There are not teachers available in North Carolina for anything. Everyone is short teachers. They are not there. So we can't assume if they give us money we're going to get it there. So we're trying to do it. We're looking at some balances, some things to get us through the school year." He, like many other district leaders, expressed frustration with legislators. "We're going to move forward and the budget - we'll just deal with what we have to deal with," said Till. "We just can't wait for people who don't have a sense of urgency." More than 400 school buses hit the road across Cumberland County. This year the district is using new, extended stop arms, additional lights and driver hand signals to increase student safety. 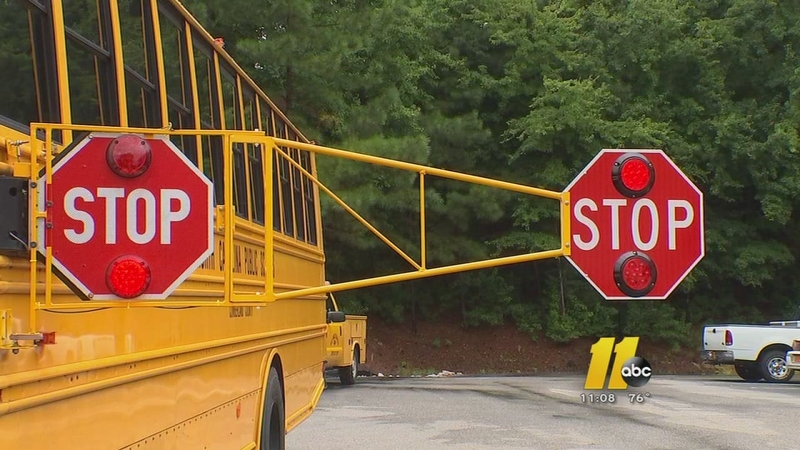 Last year, North Carolina drivers ran school bus stop arms more than 3,000 times, according to the district. The district will send students home with pamphlets regarding the changes. View more back to school stories here.